Coming on the heels of the recently-released EP, “In Search Of Mona Lisa”, the project is produced by Rick Rubin and expected to be issued later this year. 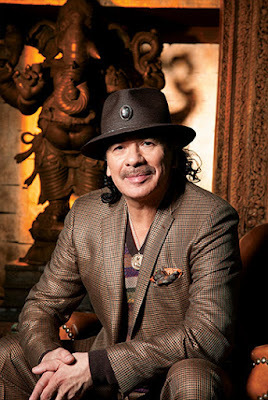 Santana will play a series of US dates next month before resuming his 2019 Las Vegas residency at the House Of Blues at the Mandalay Bay Resort and Casino in May. The guitarist will officially begin the Supernatural Now summer tour of North America with The Doobie Brothers in June; the trek will commemorate two of the most important milestones in the iconic guitarist’s career - the 20th anniversary of his groundbreaking, multiple Grammy-winning album, “Supernatural”, and the 50th anniversary of his momentous performance at Woodstock – where he’ll perform again this summer as part of a newly-announced lineup.